Boutique social media and digital marketing solutions, tailored to your business needs. From building and optimizing social channels, to managing daily postings, videos and engagement, we’ll ensure your social media presence is a step above the competition. In a world where one negative comment or review can dismantle a brand, an effective and strong reputation management strategy is necessary. Allow us to be the eyes and ears for your organization so you can rest assured knowing a plan is in place. Social media advertising is one of the best ways to grow your audience, target buyers and begin a conversation. We work with you to create advanced social media advertising campaigns that put your products or services in front of your buyers eyes. A strong digital marketing strategy and consistent brand are the building blocks to growing any business, regardless of size. 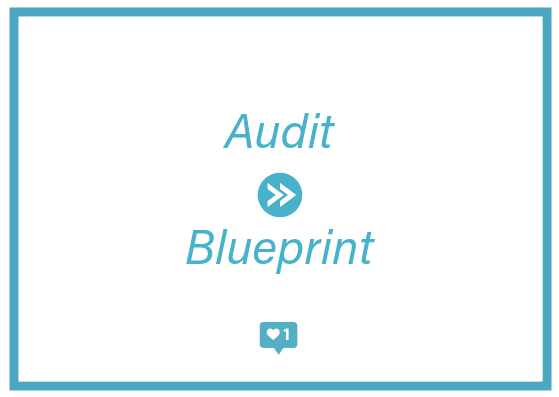 With a brand audit, you’re able to to uncover inconsistencies, realign and move forward with a detailed improvement plan. With this new found insight, we work with your business to build a tailored digital marketing blueprint aligned with your sales goals. Photography, videos and graphics as unique as your brand is. We’ll work with your team to design a social media content strategy that aligns with your current brand that excites, delights and educates your audience. Whether you’re looking for a complete digital marketing strategy, webinar creation, blogs, website copy, or website creation, we’ve got you covered.